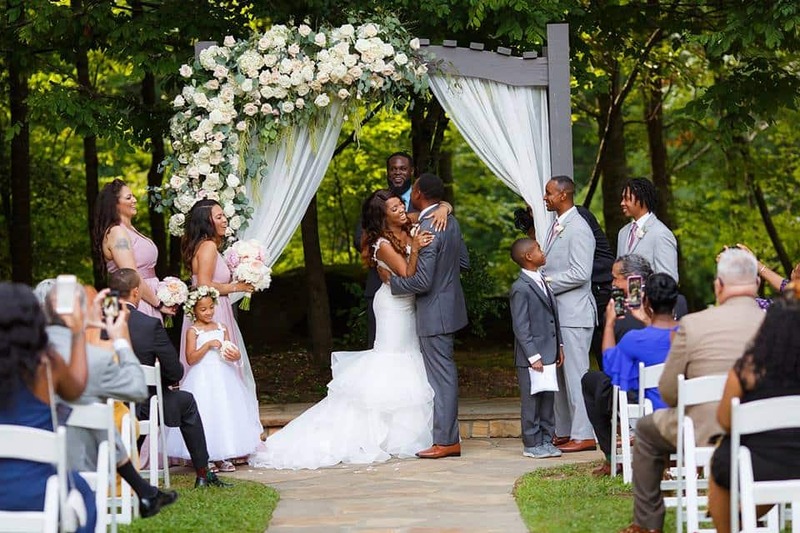 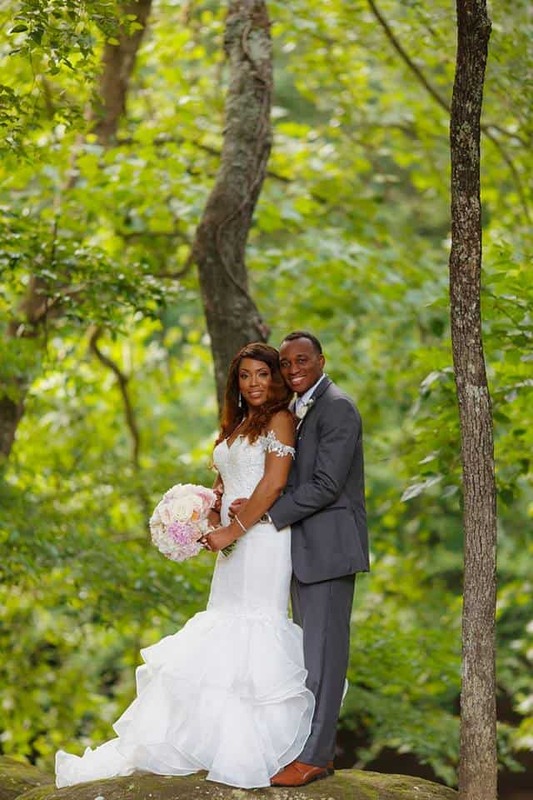 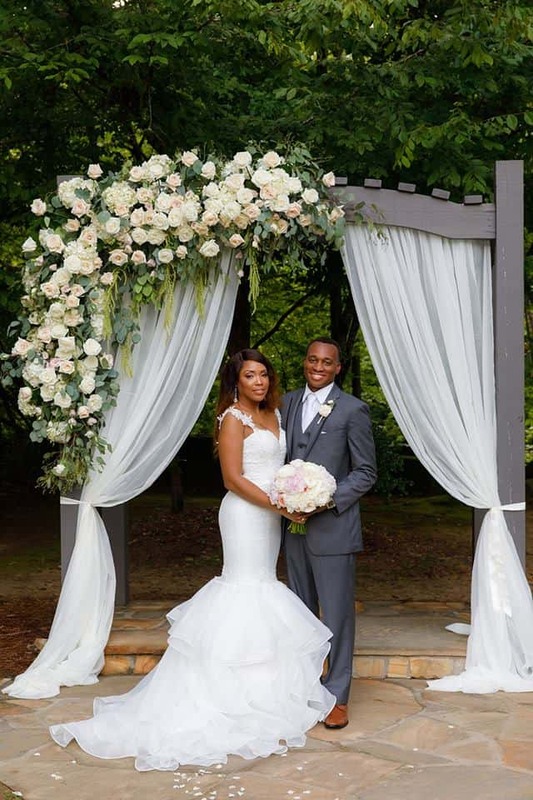 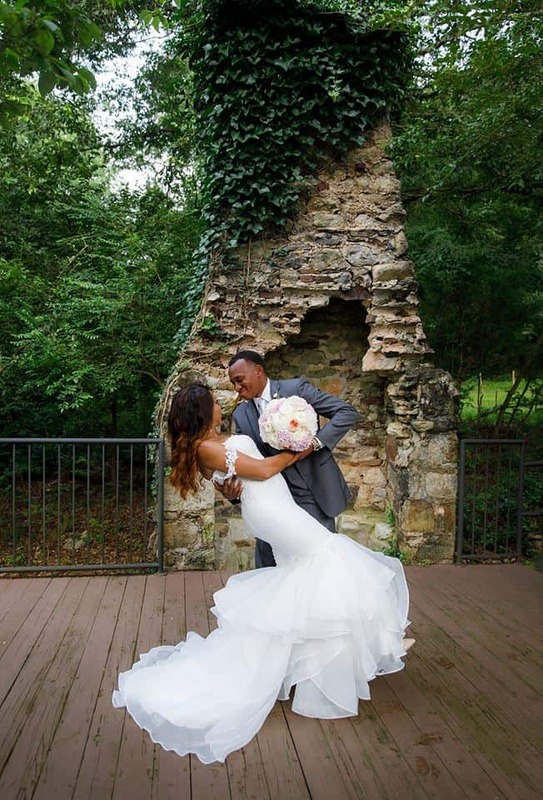 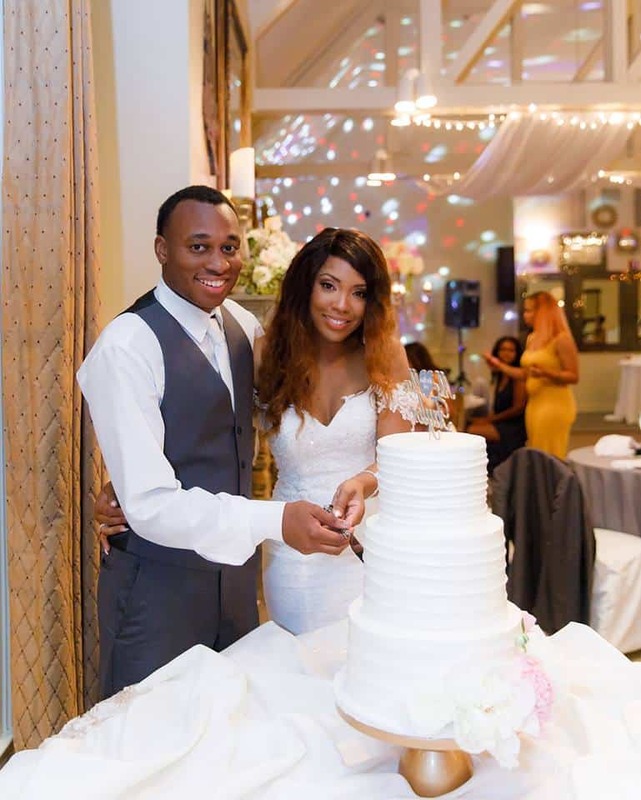 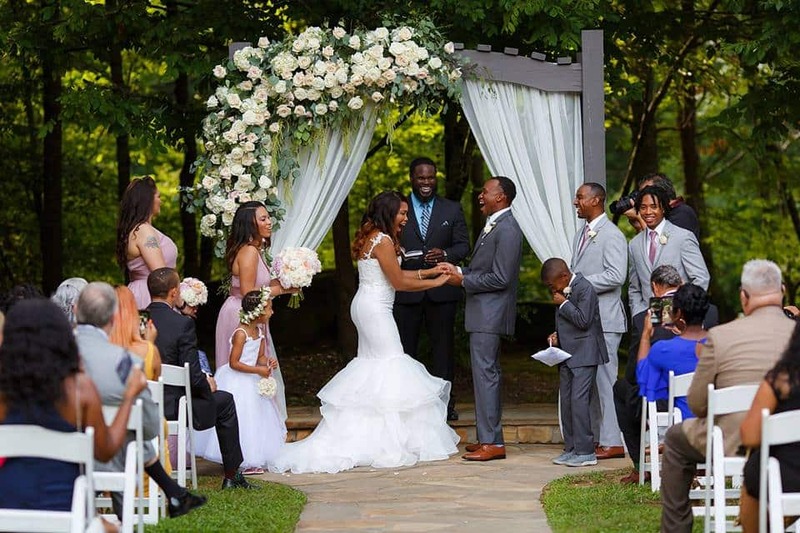 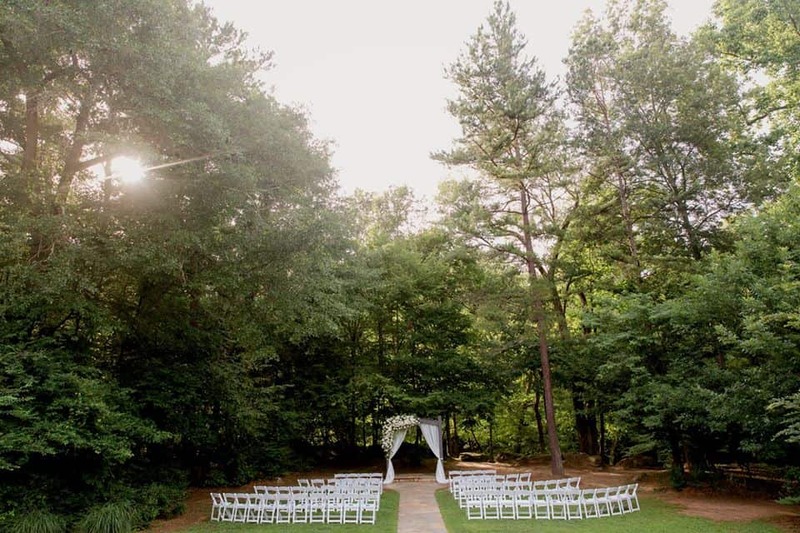 Lisa and Khasan had a very intimate ceremony and reception this past July. 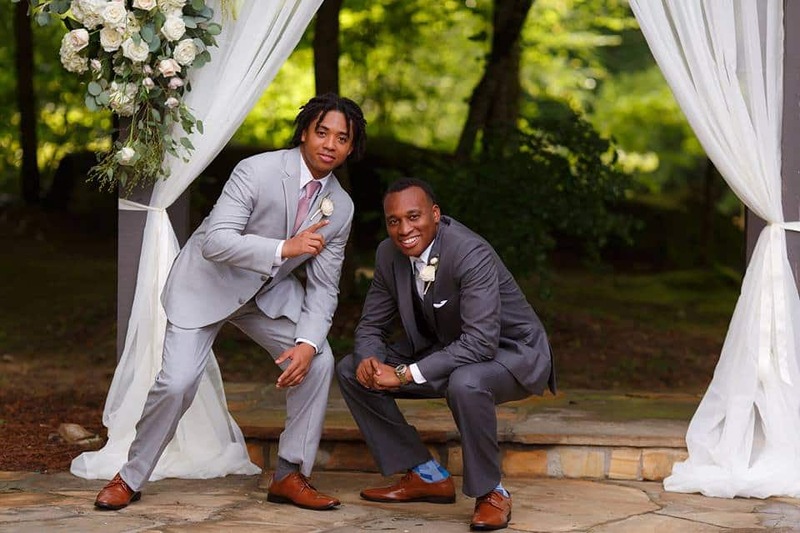 They even planned it all the way from Brooklyn, NY! 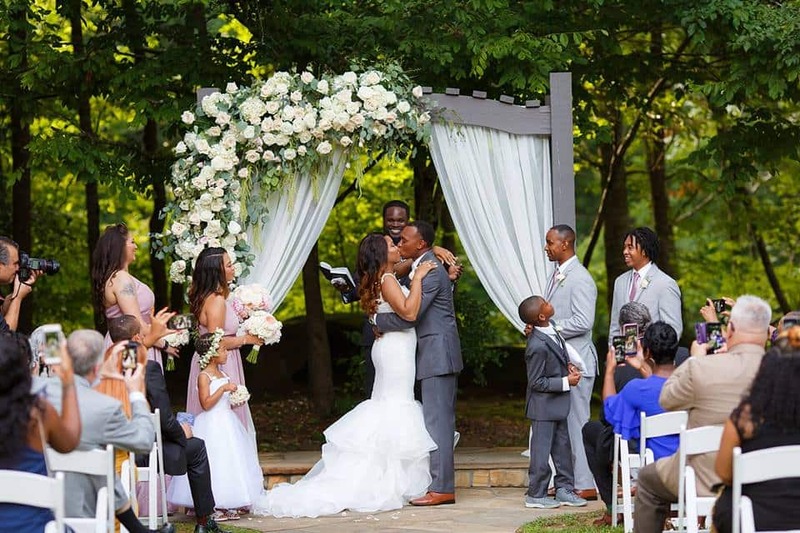 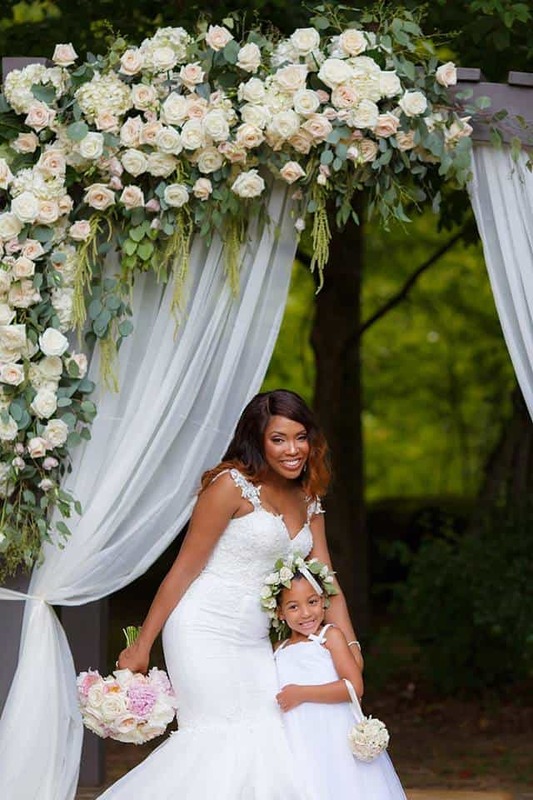 The ceremony took place down by the Yellow River where they exchanged vows beneath a beautifully decorated arch with gorgeous chiffon draping and an amazing floral spray of white roses. 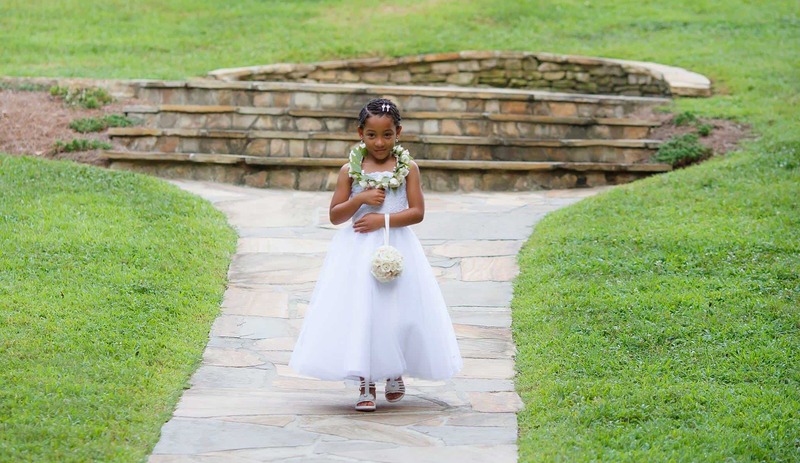 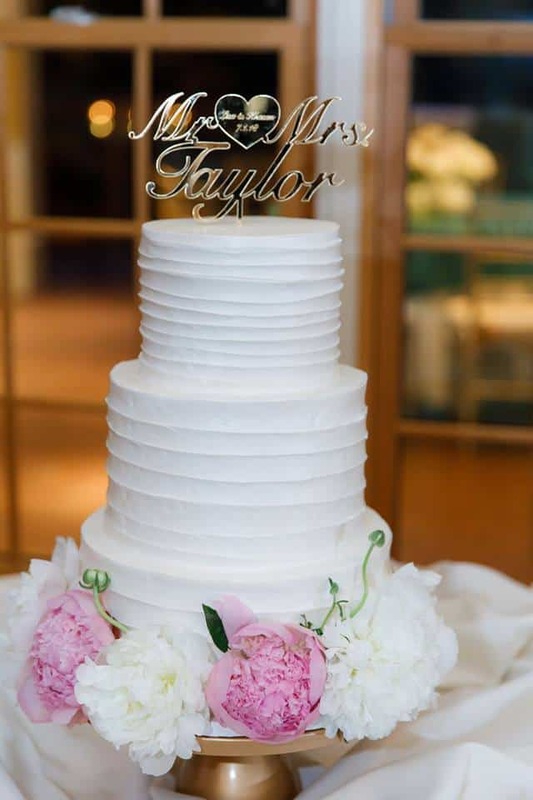 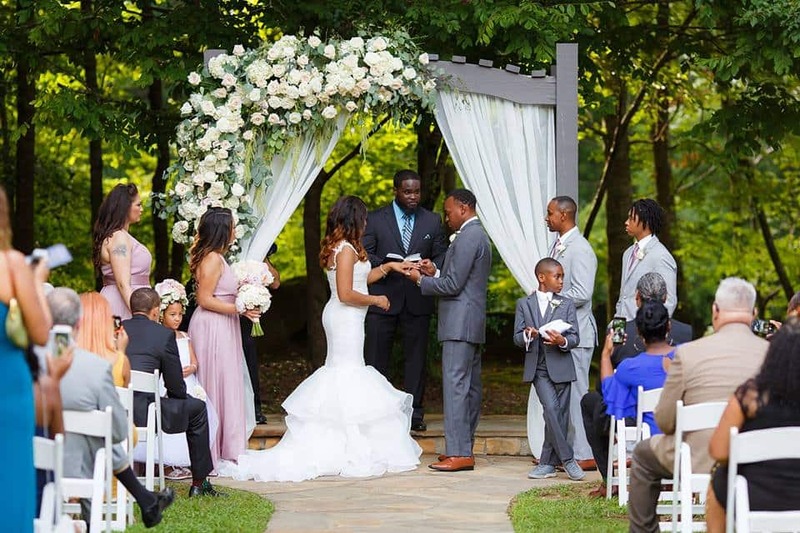 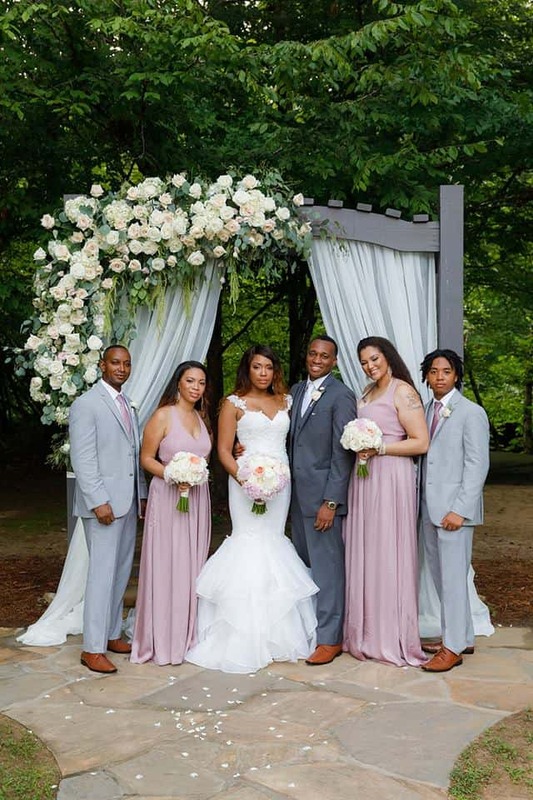 They had a beautiful color theme for their big day – a lovely pale lilac and charcoal gray. 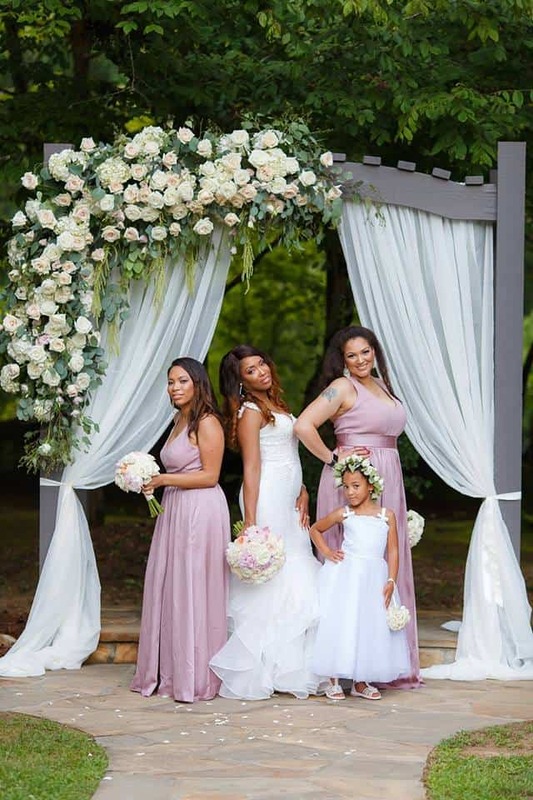 The bridesmaids wore full-length lilac gowns with a halter neckline. 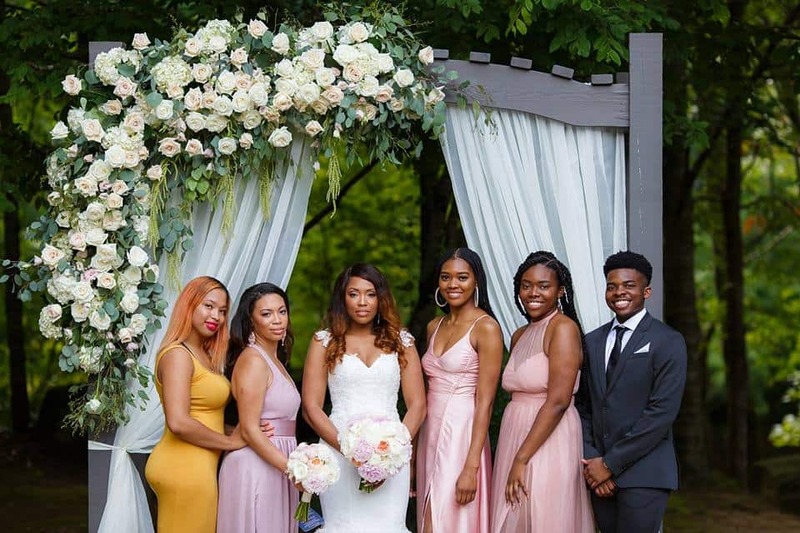 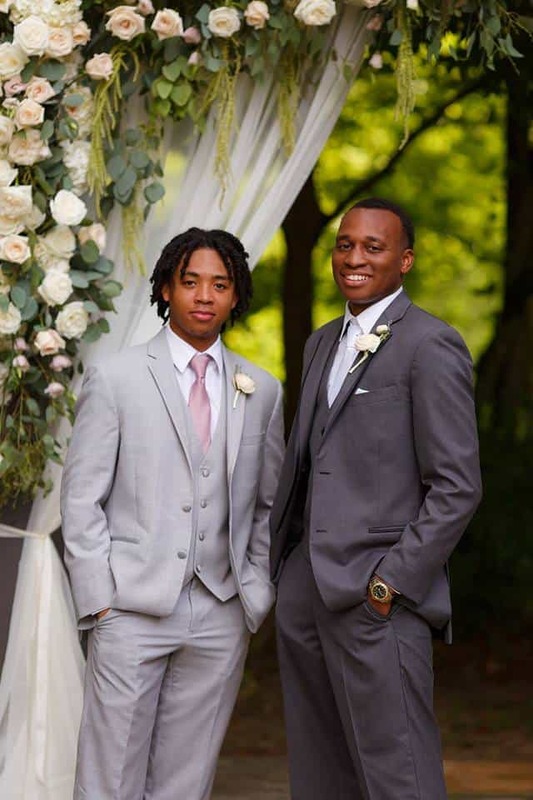 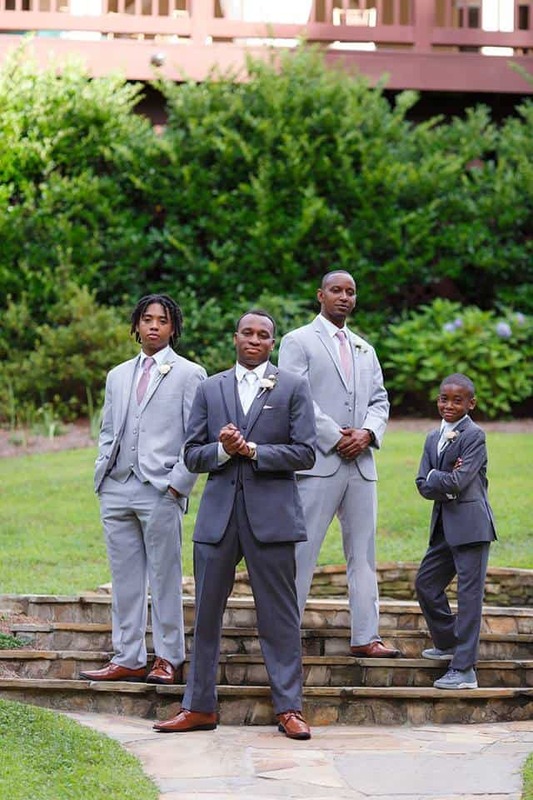 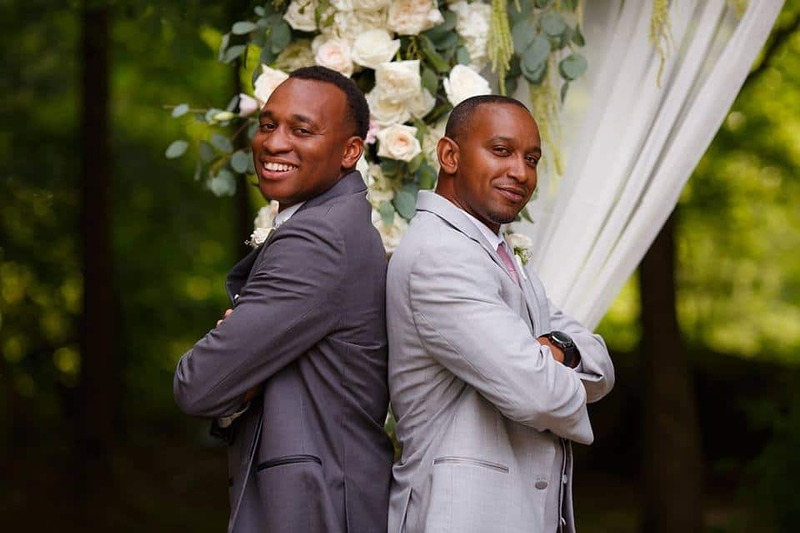 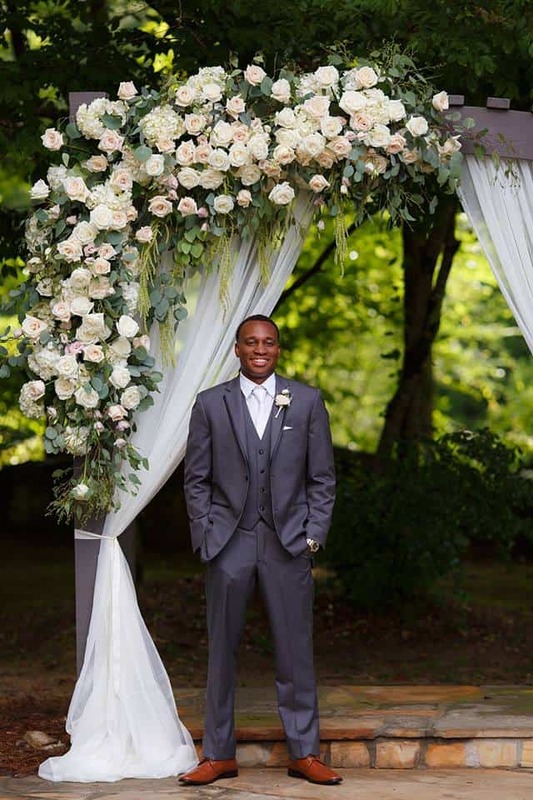 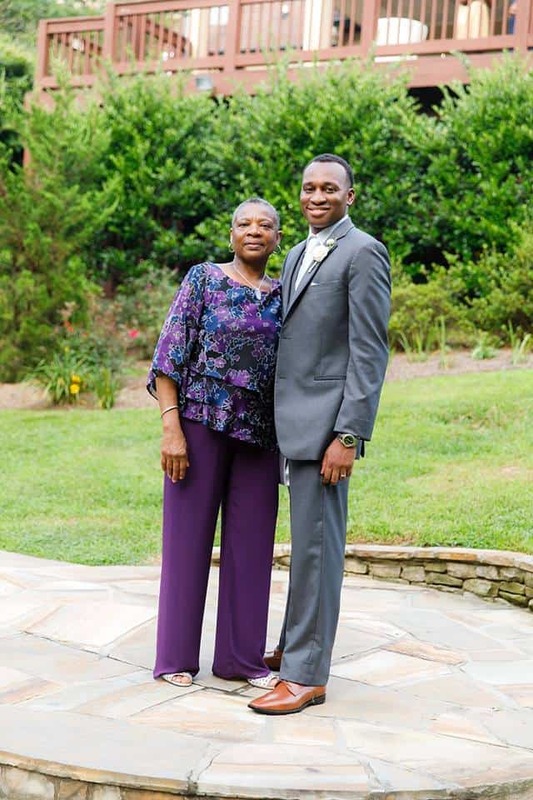 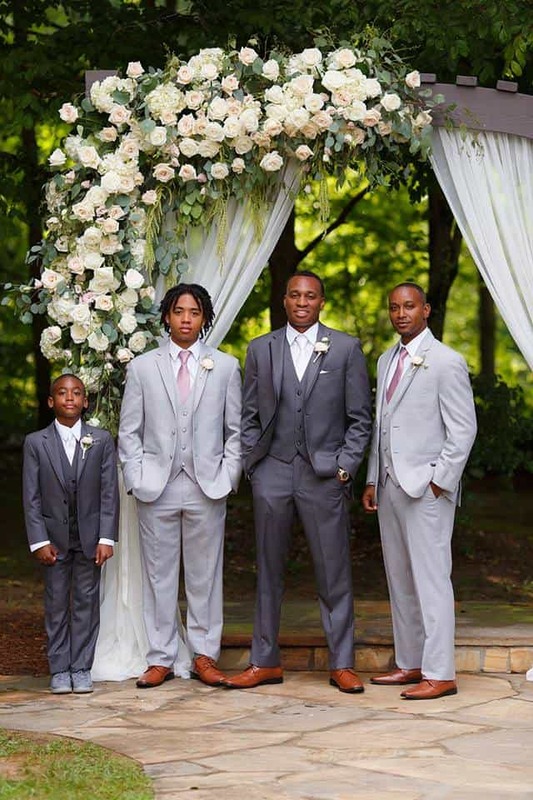 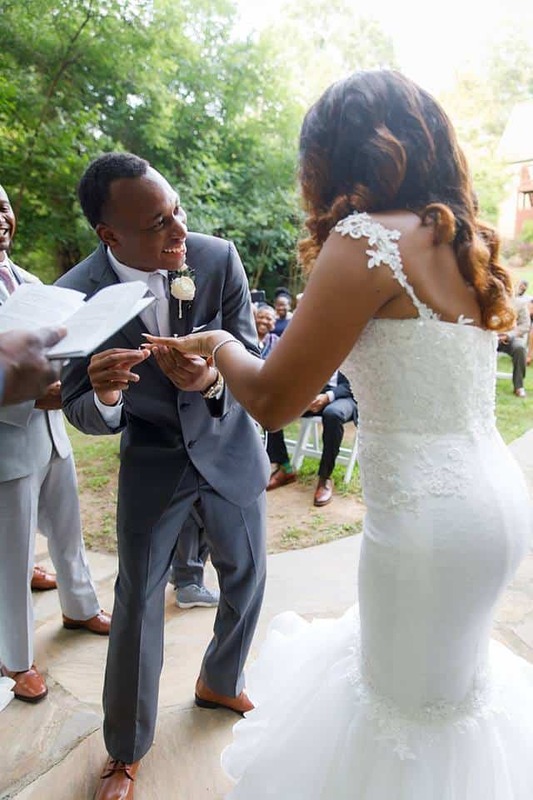 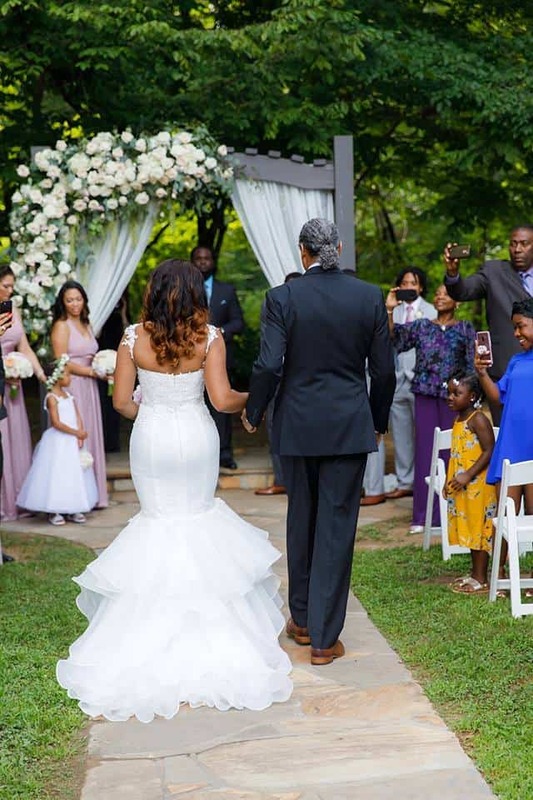 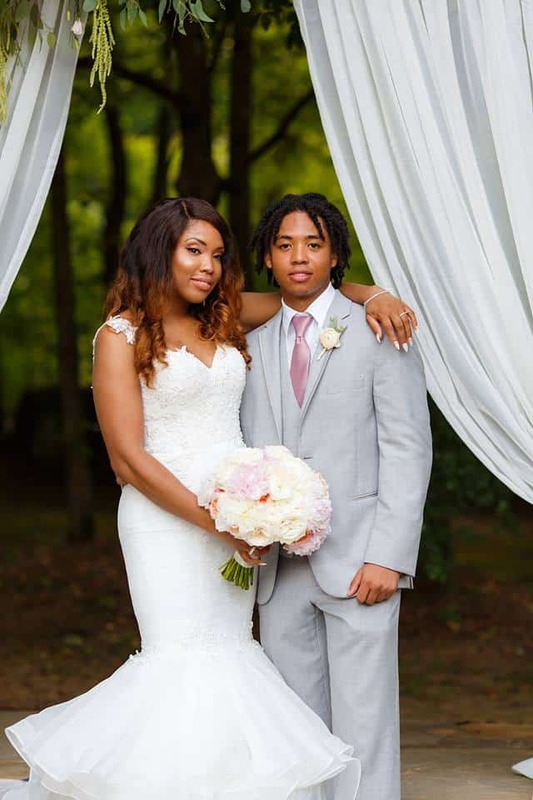 Khasan rocked a dark charcoal gray suit three-piece suit with a white tie while his groomsmen wore light gray three-piece suits with a lilac tie to match the ladies. 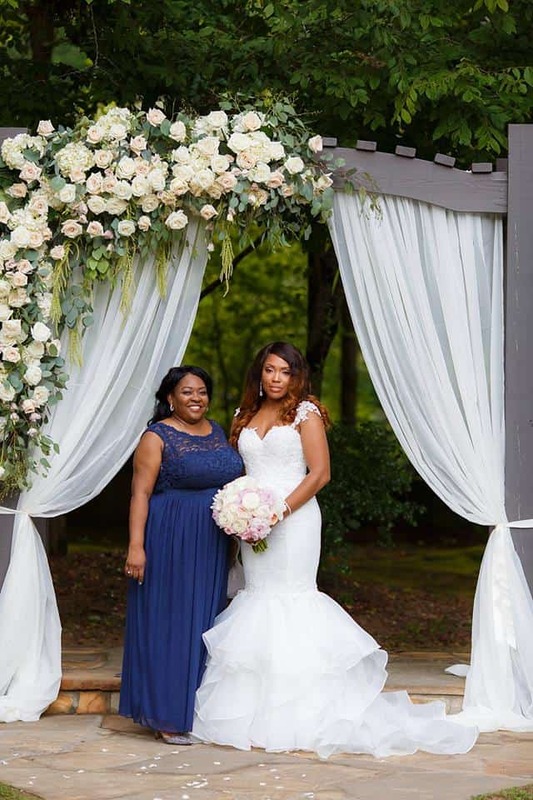 Lisa’s wedding gown was definitely a show-stopper! 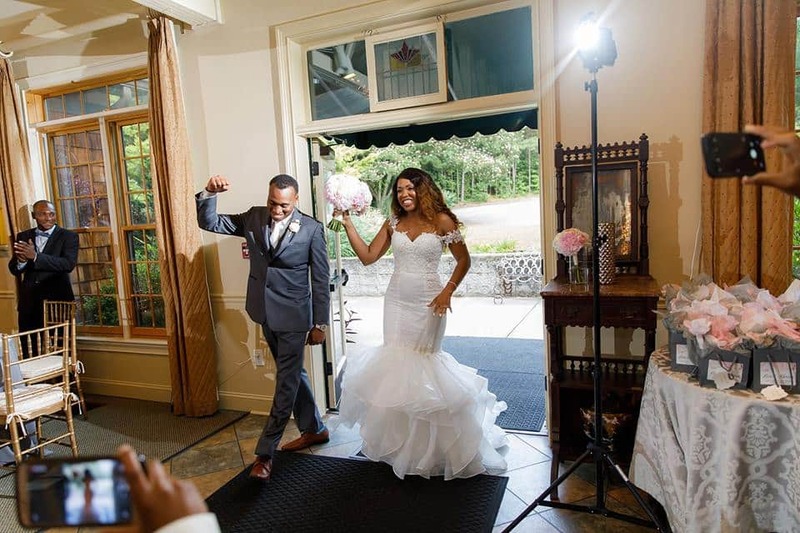 She wore a beautiful white mermaid style gown with a sweetheart neckline that was head to toe in lace details – the dress even had delicate cap sleeves made of lace. 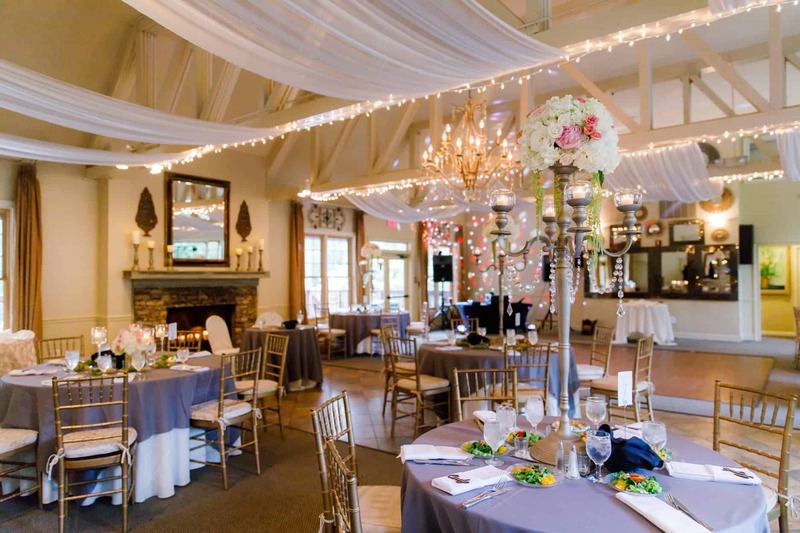 The reception was so gorgeous! 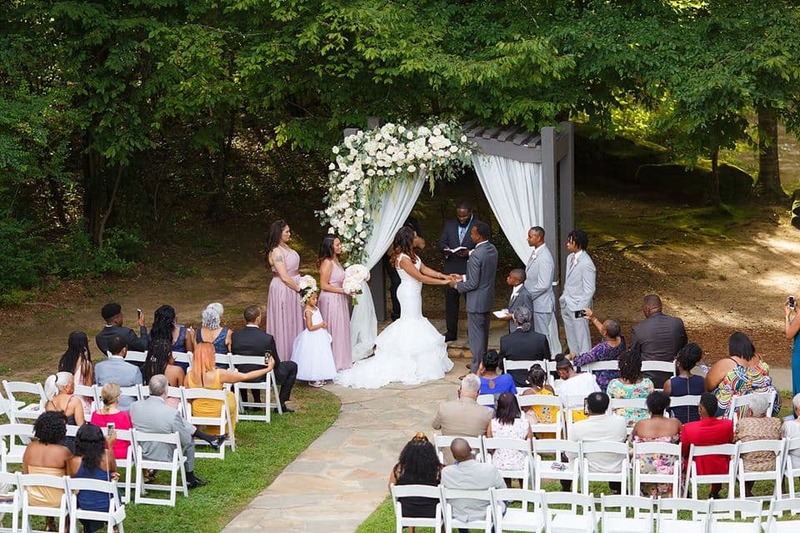 They had charcoal gray tablecloths and amazing high-low centerpieces with hanging gems and gorgeous white and lilac floral arrangements. 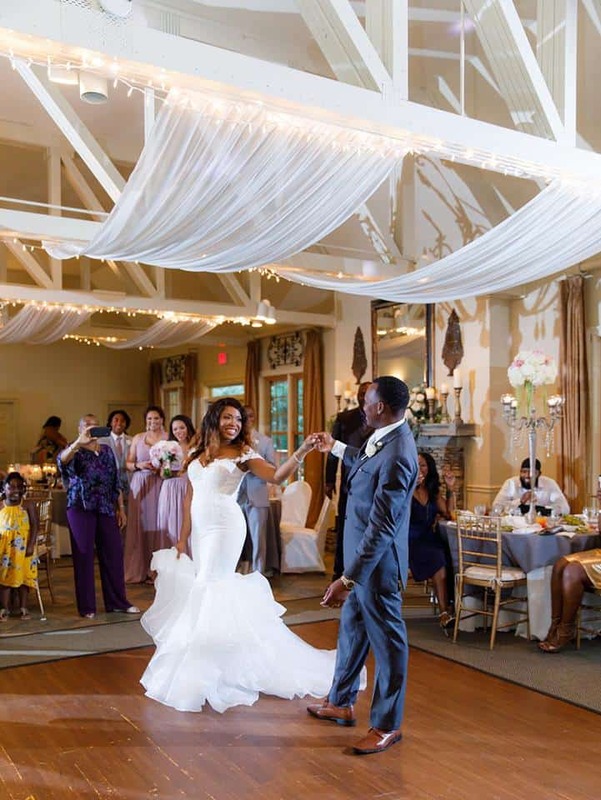 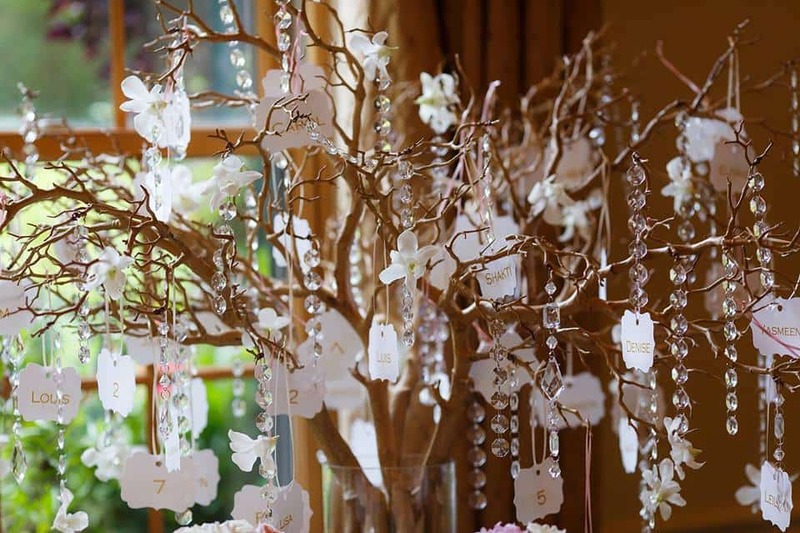 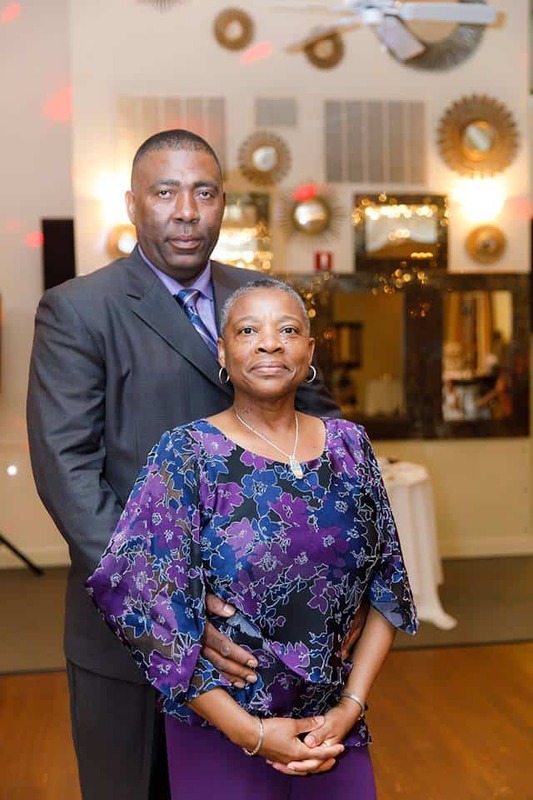 The room was filled with romantic candlelight throughout the evening as they celebrated with family and friends.